Meadowview Magnet Middle School FIRST LEGO Robotics Team Represents Surry County at the NC State Legislature in Raleigh, NC. 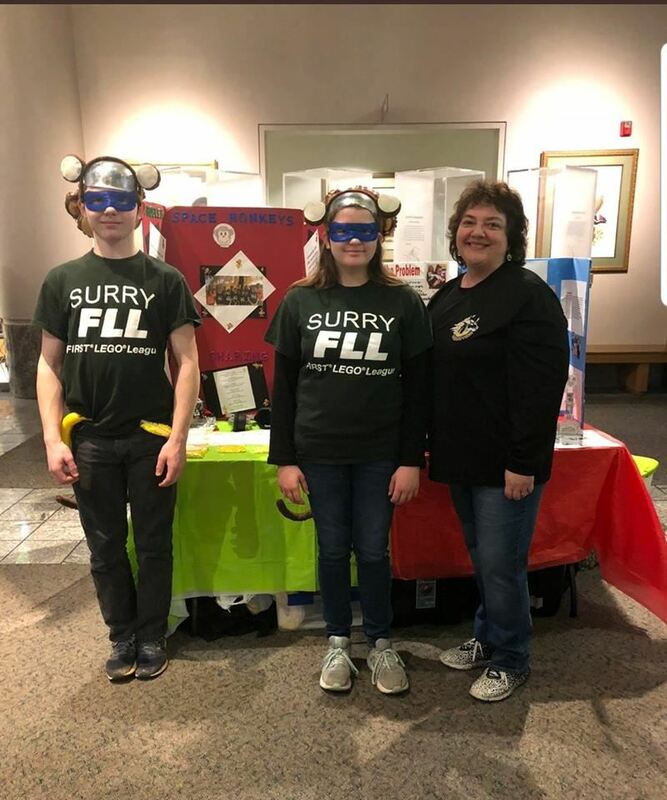 Tyler Baugus and Maggie Creed, members of Meadowview Magnet Middle FIRST LEGO League Space Monkeys team and Coach Mrs. Tammy Taylor attended the FIRST Advocacy Day at the NC State Legislature in Raleigh, NC, on Wednesday, February 27, 2019. FIRST LEGO League focuses on solving real-world problems such as food safety, recycling, energy, and more using STEM concepts, plus a big dose of fun! 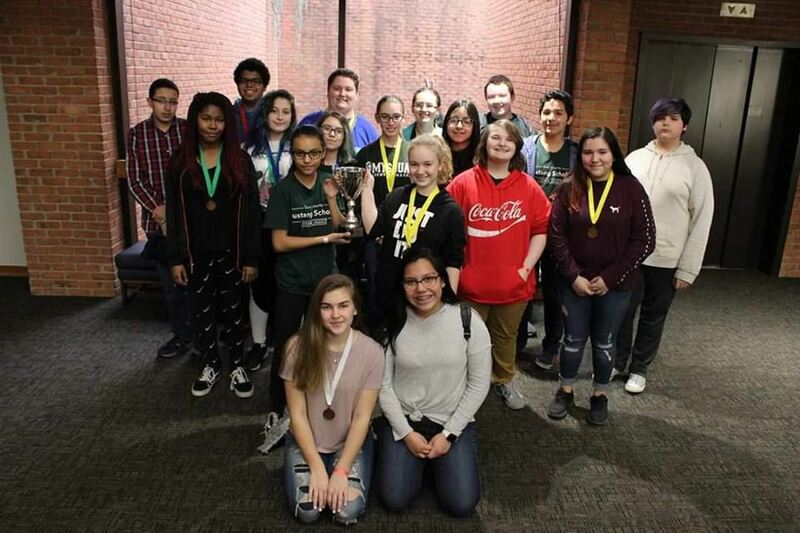 With the guidance of their coaches, teams apply science, technology, engineering, and math (STEM) concepts to solve a real-world problem.Teams design, build, and program a LEGO MINDSTORMS robot, then compete on a themed table-top playing field. Along their journey, students develop critical-thinking and team-building skills, build STEM self-confidence, and gain valuable perspective on the importance of failure in the learning process. The goal of the FIRST Day of Advocacy was to begin setting the stage for state funding sometime in the future for FIRST teams in North Carolina. The ideas was to have at least one team from each of the 69 counties with a FIRST program be it FRC, FTC or FLL. This is a long-term project and one that will take several years to achieve. But planting the seeds now is critical. Seeing the presence of the representation from each of the counties in our state was vital to showcase and highlight the wide reach of FIRST. The FLL students had the opportunity to listen to Representative Craig Horn, the co-chairman of both the House Committee on Education Appropriations and the House Education Policy Committee for K-12 Education, NC Schools Superintendent Mark Johnson, and Lieutenant Governor Dan Forest before meeting separately with Surry County’s House Representatives Kyle Hall and Sarah Stevens to share the many benefits the FIRST programs have afforded them and their FLL teammates. Call 336/789-0276 or click here to complete an online request.